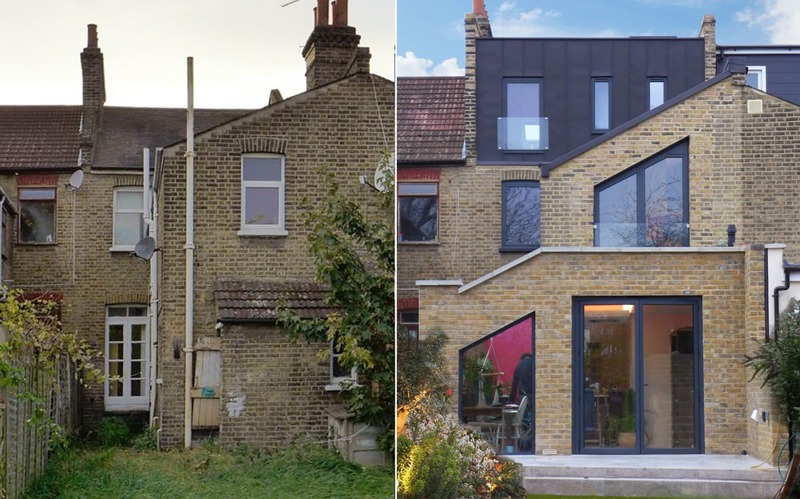 Creating a greater sense of openness at ground level and additional master bedroom in the attic in this Lewisham rear and side infill house extension. The project reinforces and enhances the existing geometries of this familiar London house typology. 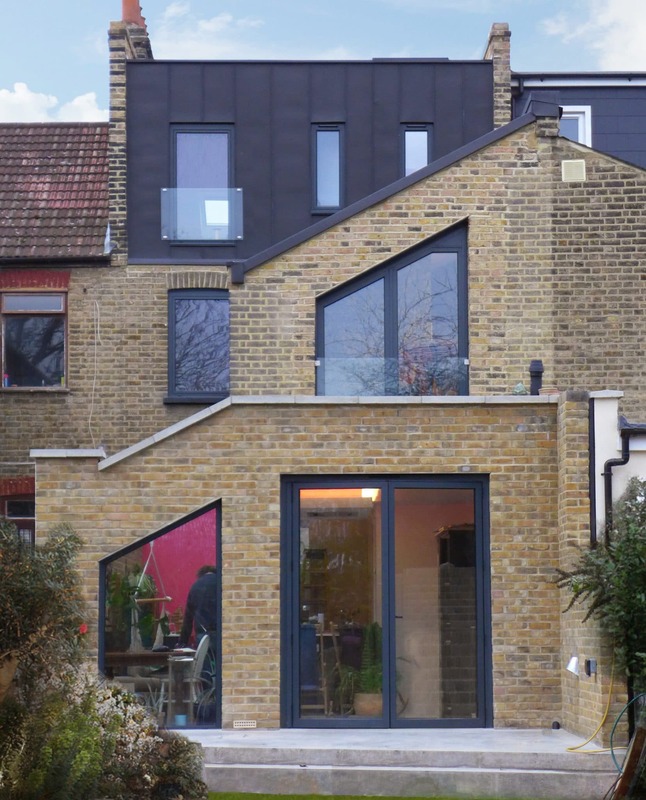 London stock brick is used to create a sense of continuity between the existing house and its additions. With the aim that the new extension should feel as if it were carved alongside the original house form. Three large glass panels create a bright continuous skylight along the full length of the new kitchen, whose openness is created through a full width semi exposed steel frame. In-situ polished concrete flooring continues out onto a raised shaped patio area. A new generously proportioned window is cut into the rear elevation at first floor level, sloped to match the pitch of the existing roof. 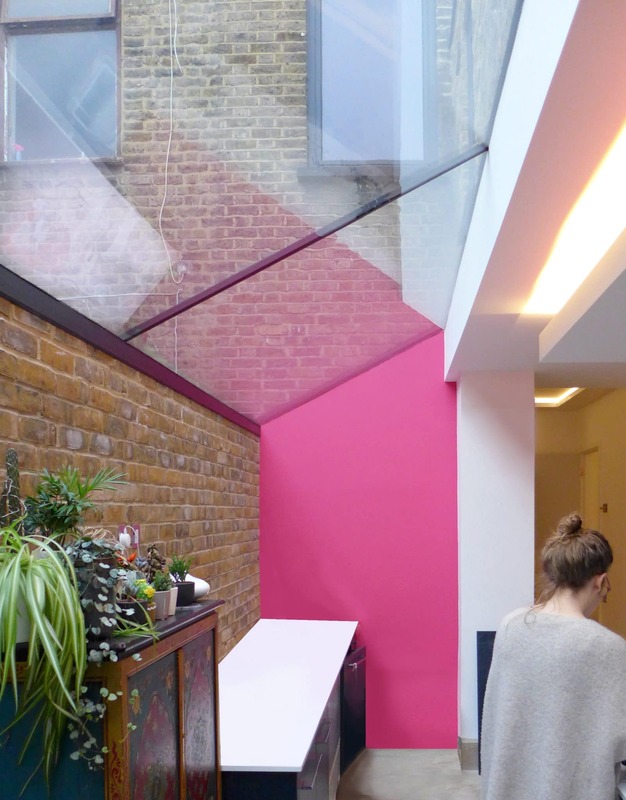 Fitted with full height opening doors to create an internal terrace, overlooking a planted sedum green roof. 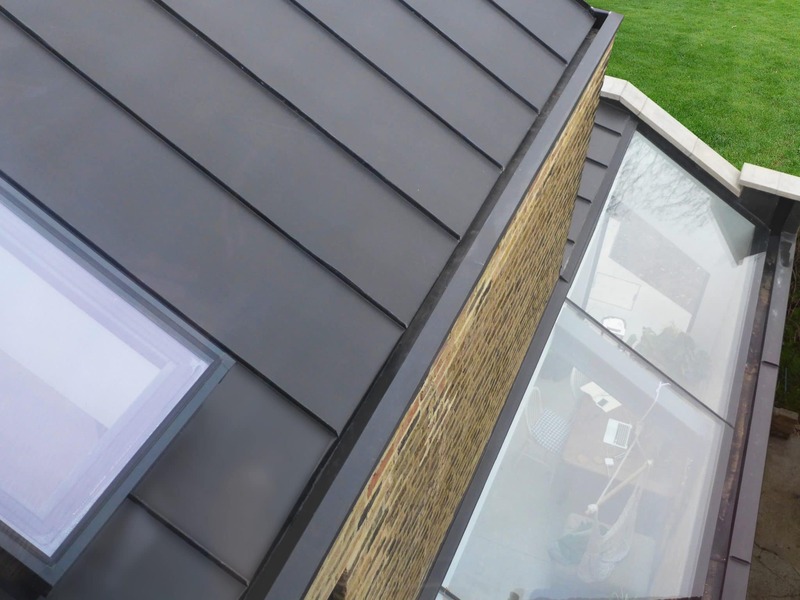 At second floor level, black standing seam zinc cladding encloses a new loft bedroom and ensuite approached via a white walled staircase fitted with timber niches that continue into balustrade openings at first floor. The practice worked with an energy consultant to enable the large amount of glazing to satisfy Part L requirements through energy saving measures employed elsewhere in the building’s fabric. Delivered through a full traditional architects service agreement. Including pre-application planning meetings with the local authority, achieving planning consent, managing Thames Water buildover submissions, liaison with building control, co-ordination of consultant team including structural engineer and site inspections during construction.